RPM Rural Products offers headbails for those cattle producers who feel they don’t actually need a complete cattle crush. The Superlock and Concertina Headbails come standard with the Powerlock Linkage and Hydra-Lock Ram which provides the operator with more power and almost effortless operation. Meanwhile, the Economy Headbails are designed for use with lighter animals. Anybody on the land can afford these devices. They are suitable for use on horses and represent a tough and resilient addition to the RPM Econo Crush. 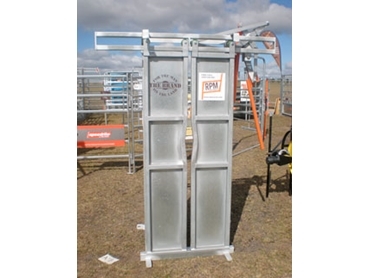 RPM Rural Products is a manufacturer and supplier of quality livestock and rural equipment. Apart from headbails, they also offer gates, fencing, unique air-drafting equipment and much more.